A project is only as good as it's planning so Progressive Construction provides full architectural drawings and three dimensional renderings for all projects. Whether it's a full home renovation, an addition, a basement finishing, a kitchen remodel, or a bathroom remodeling project, Progressive will ensure to create the drawings necessary to turn a concept into a true creation! Framing is the next phase in the basement finishing process. This photo demonstrates our ability to frame in any situation. Plumbing is the first step in the three phases of your mechanical installation. Most basements will require hot and cold supply lines, drain work, and a sewer ejector pump. Progressive's licensed and insured plumbers can put a functional bathroom in almost any basement whether pre stubbed or not!!! 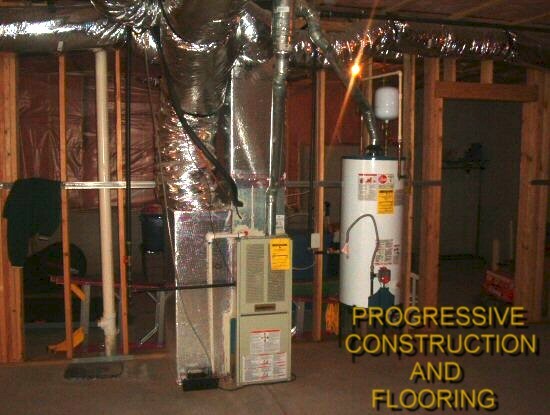 Your heating and air conditioning system will be installed during the mechanical phase of the basement finishing process. The system is installed by our state licensed HVAC specialist and the size and placement of the unit is determined immediately after your initial basement finishing consultation. Electricity ties the mechanicals of your basement together. 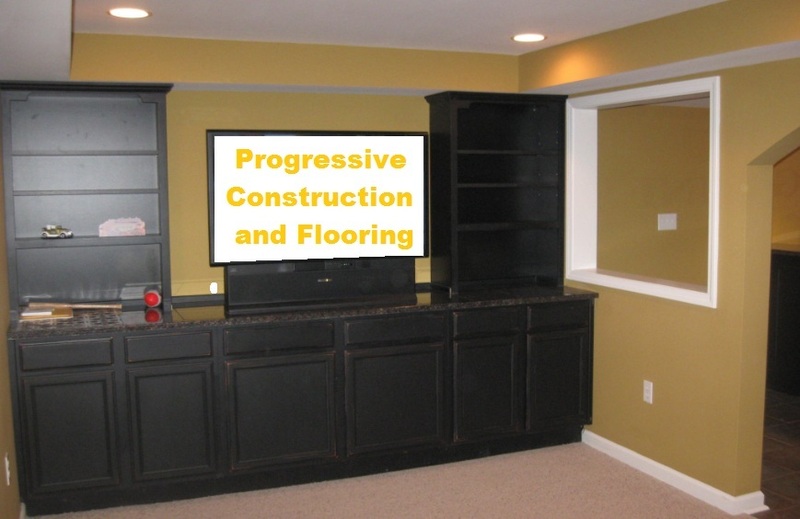 Progressive Construction and Flooring's Licensed Electrician will shed a bit of light on your basement finishing process. A properly insulated basement is a comfortable basement. 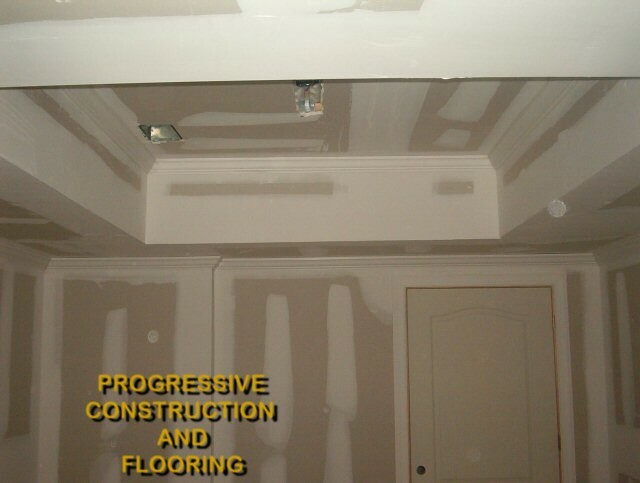 Progressive Construction and Flooring has teamed with Masco Contractor Services to provide you with the best possible insulation solutions. 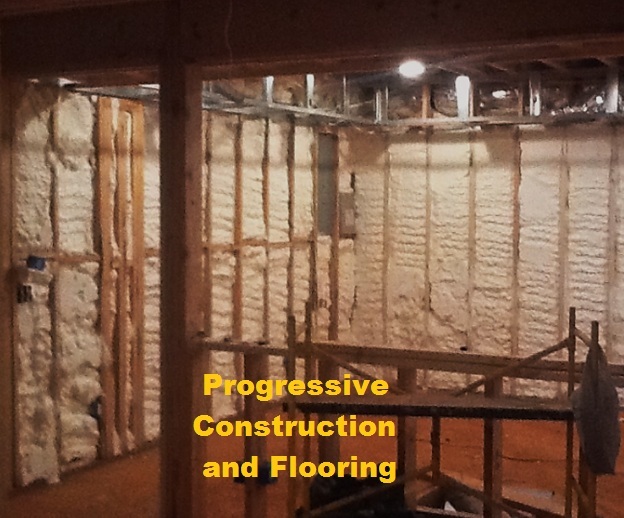 Open and Closed Cell Spray Foam, Cellulose Wall Spray, and Standard BATT insulation services are all available from Progressive Construction. 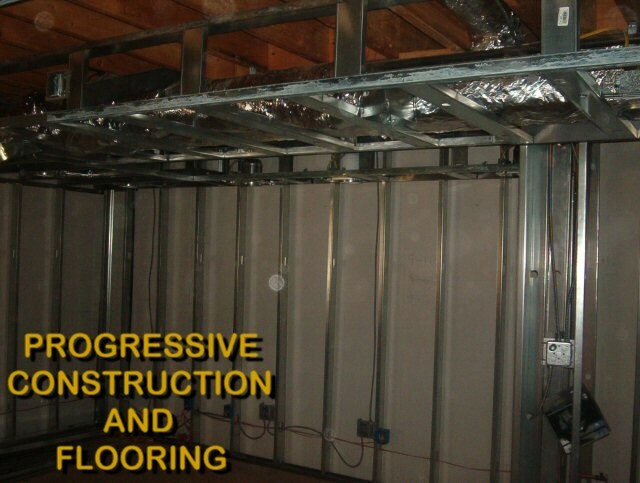 Drywall is one of the most important aspects of the basement finishing process. Our technicians will hang your drywall and apply the drywall accessories in such a way that you will begin to recognize the transition from framing to finished during this phase. 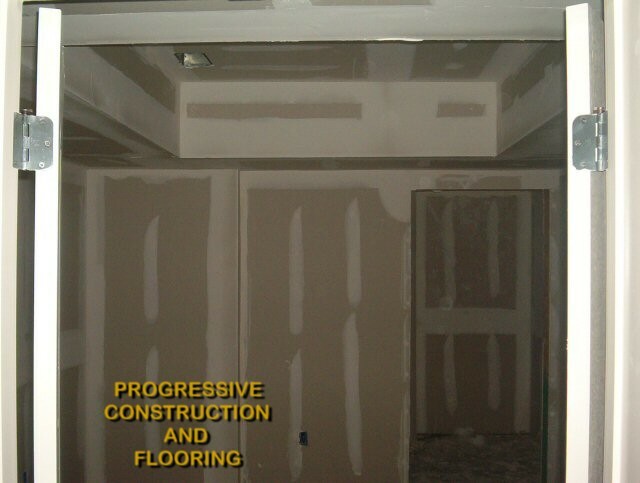 Progressive will install all of your doors and trim after the drywall phase. This marks the beginning of your Finished Carpentry phase. Your Cabinets and Shelving will be also included during the finish carpentry stage. Progressive's talented carpenter's will ensure your concepts become our creations!!! Painting is when Progressive adds a little personality to your project. Our painters will caulk your entire basement, prime the basement, and apply two coats of paint. Progressive does not use painters grade paint on your walls. We default to Sherwin Williams super paint unless otherwise requested by our customers. This is the final phase of the basement finishing process. By Default Progressive Construction and Flooring will install Carpet through out your basement and tile in the bathroom and bar area. We provide dalton direct Mohawk flooring products and provide every customer with over 100 choices for carpet and tile.